Are you concerned that your child won’t reach their full potential? Let us help you ensure they do. A new diagnosis can be overwhelming. It can be terrifying. And I know first hand how hard it can be to hear the words that your child has Autism. Because I have heard them. Because I like you have stood in that room hearing those words. Hearing a list of things my daughter couldn’t do. Because I like you stood there and wondered whether she would ever be happy. I wondered if she would ever have friends. And mostly I wondered whether I was doing a good enough job of being her mum. Autism has always been my passion. But teaching and parenting are two very different things. And as I stood and looked at my beautiful two year old daughter that day I questioned every single thing I knew. I remember wondering how other parents – parents without an autism background – knew what to do. And in many ways that moment sealed my fate. I knew that I was in a unique position. An Autism Specialist Teacher who was also the parent of a child on the Spectrum. I knew that if anyone got it, it was me. I knew I could make a difference. And I’ve spent the last nine years making sure parents know they are not alone. Making sure they get as much support as possible. And ensuring their children reach their full potential. Because you are not alone. And because you deserve the support I can give you. I will show you how you can not just get through this, but how you can live the kind of life you as a family want to lead. I don’t have a magic wand – though my #UNIQUEANDSUCCESSFUL: The Membership Community, would argue otherwise. But what I do have is an enormous armoury of autism strategies. If there is something you are struggling with you can guarantee, that over the last 20 years of teaching and 11 years of parenting – I’ve seen it before. Because I know how hard it is. I know that parenting is a million times harder than teaching. And I know that when you are exhausted and feel as though there is nowhere to turn being a parent is the loneliest job in the world. But I will show you how you can change your life. I will show you how you can lead the life you want to lead. If you are looking for a cure, we are not the right place for you. Instead I will teach you and they how to use Autism to your advantage. 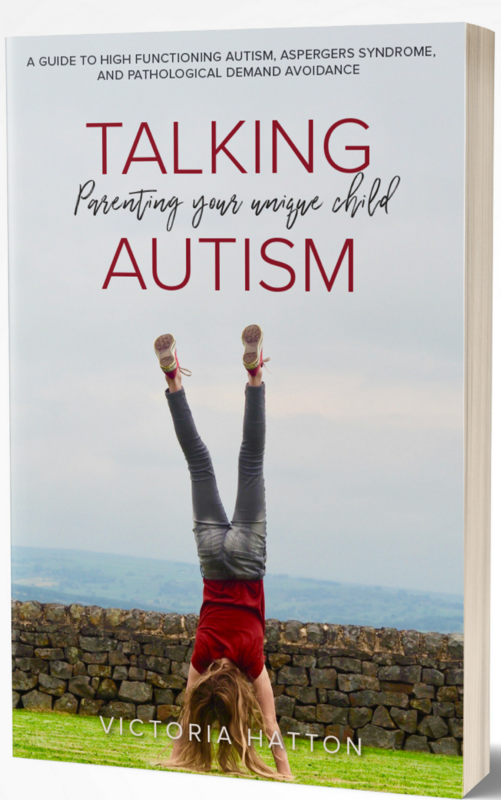 How to build on your child’s masive strengths, how to reduce their anxiety levels and how to enjoy life in a way that works for your whole family. You are an excellent parent, and you know your child better than anyone in the world. The combination of your knowledge about your child and my knowledge of autism, makes us the perfect combination. Together we can ensure your child is #UNIQUEANDSUCCESSFUL. Tom was nine when I first met him. He was bright, engaging and funny. But he had absolutely no intention of putting pen to paper. He couldn’t name letters or form them, and had no interest in doing so. Through a structured but fun approach, and lots of focus on his special interest, over the next year, Tom not only learnt to read and write, but began to believe in himself as a learner. With Tom, as with many other children I’ve worked with, it wasn’t that Tom couldn’t learn, just that standard learning techniques didn’t work for him. Sophie was twelve when her mum first came to me to ask for help. She struggled to cope with the demands made on her by adults and, in order to keep her calm, both her teachers and her family had reduced their expectations. Despite being verbally articulate, she wasn’t engaging in any academic tasks. Teaching those working with her how to reduce demands without lowering their expectations was key. A flexible timetable in conjunction with projects related to Sophie’s special interests helped her to see herself as a successful learner who, with lots of support, was able to begin to access the curriculum. James was 15 at the time he was referred to me. He hadn’t been in school for four years and had become completely disengaged from learning. He was anxious about returning to a busy environment, and despite repeated attempts to reintegrate him back into school over a four year period, none had been successful. Within three months of working with him James was attending some small group sessions in school and by six months he was accessing a full mainstream timetable with support. At the end of the school year he able to attend college interviews with confidence and achieved a place on the course of his choice.